The integration of environment, social and governance factors (ES&G) into corporate and investment decision making has been gathering momentum over the last decade. Several well-researched reports highlight one of the key drivers underpinning this shift: sustainability and financial performance are linked. A multitude of constituencies – governments, public companies, impact investment intermediaries, opinion leaders and investors – have contributed to the development of the global social impact investment market. A movement is afoot that represents a significant opportunity for businesses and markets to drive improved social value. By allocating assets towards products, services, and companies that generate positive social impact, the movement toward “impact investing” has the potential to create real value for both investors and for society. The SEMBA curriculum involves the study of finance through the lens of sustainability, and is supplemented by workshops that include the exploration and discussion of impact investing. This post was written by SEMBA Advisory Board member Rob Morier, Managing Director, Head of North America at Global Evolution. Institutions and individuals, from the trading desk to the university classroom, are rapidly adopting impact investing. The proliferation of funds and research has been a welcome revolution in the asset management industry. Investors have more options and information available to them than ever before as asset management companies and investors hurry to catch a rising tide of opportunity. As defined by the Global Impact Investing Network (GIIN), impact investments are investments made into companies, organizations, and funds, with the intention to generate social and environmental impact alongside a financial return. While traditional business practices may perpetuate the idea that an organization must choose between doing good and making money, impact investments don’t carry the weight of that trade off, as the intention is to do both. Although public and private equity markets have been the primary focus for impact investors and asset managers as they set their strategic investment goals pertaining to their mission or value related investments, fixed income has slowly moved from a minor to major player in terms of impact opportunities, despite being a cornerstone of traditional asset allocation models. 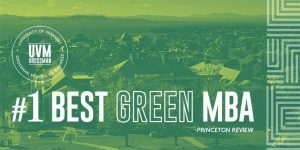 Over the past 25 years, most major business schools have added some kind of program focused on sustainability, corporate citizenship, or social entrepreneurship, though they are not integrated into the core DNA of the institution. 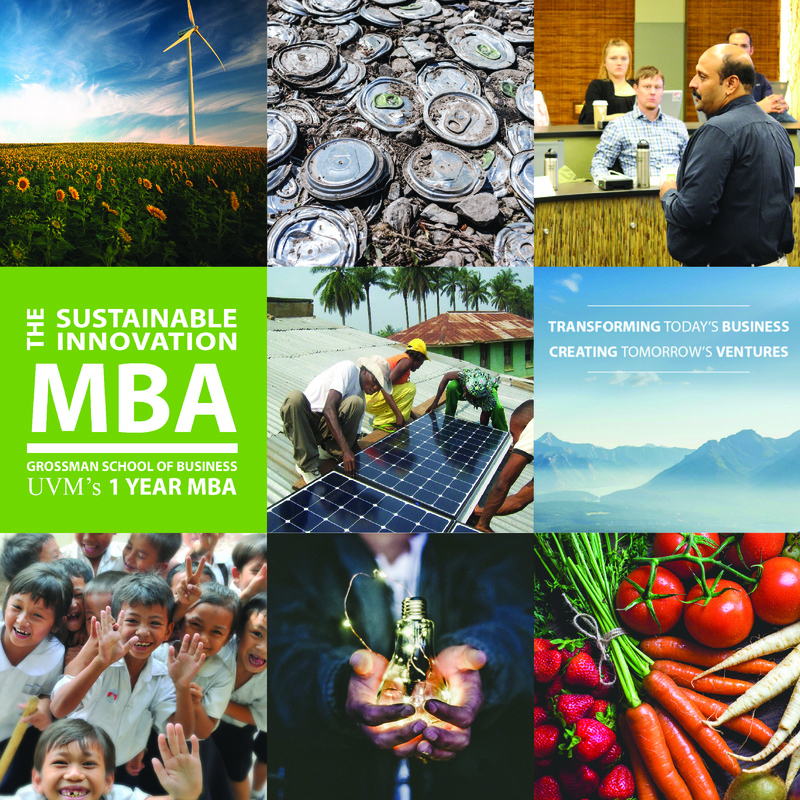 The University of Vermont’s Sustainability Entrepreneurship MBA (SEMBA) is unique in that it fundamentally reinvents business education and the MBA degree to address the urgent sustainability challenges we face in the 21st century. The curriculum is focused 100% on sustainable innovation and entrepreneurship. In this webinar, Professor Stuart Hart will describe the design and significance of the SEMBA — a 12 month, AACSB-accredited program focused on developing the next generation of business leaders who will innovate enterprises to move us more rapidly toward a sustainable world. Vinca Krajewski, a SEMBA graduate and currently Associate Brand Manager at Seventh Generation, will describe her experience in the program and how it has uniquely prepared her to be a changemaker for sustainable innovation. 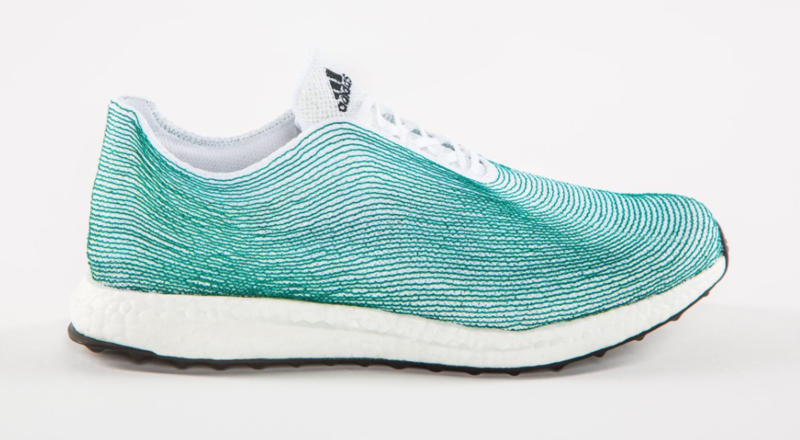 Adidas has promised to make one million pairs of shoes using Parley Ocean Plastic in 2017. Turning ocean waste into sports gear. What’s not to like? From the Web: Is this the year smart businesses tackle the SDGs? 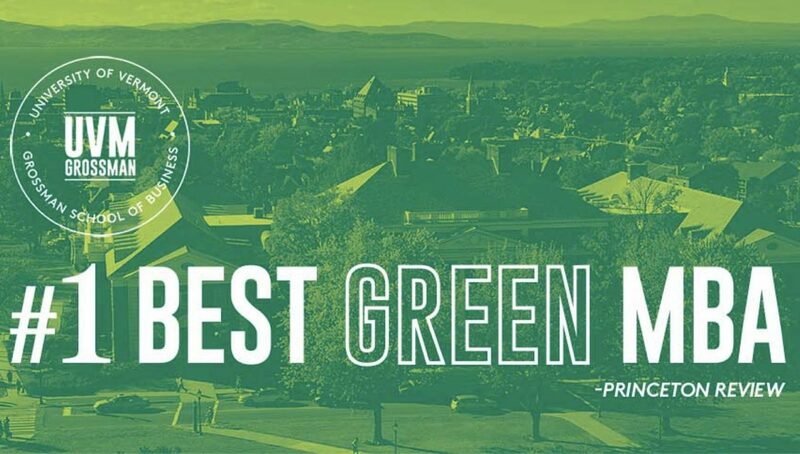 The University of Vermont’s SEMBA was a twelve month sprint from the nonprofit world to my dream job with a mission-driven company. No matter where you pursue your MBA you’ll be juggling coursework, internships, a social life (if you’re lucky), and maybe a family. It’s an incredibly busy time, so approaching the job search with a clear strategy is key to landing that perfect position. The following five pointers helped me to transition from a career in the nonprofit world working with organizations like 1% for the Planet and the Jackson Hole Conservation Alliance to my current role at Ben & Jerry’s. SEMBA was a springboard to my position leading integrated marketing campaigns that bring our company’s values to life, like our work protecting voting rights and combating systemic racism. On his way out of office, President Barack Obama is cementing his environmental legacy in ways that will be difficult for his successor to overturn. Today, he and Canadian prime minister Justin Trudeau banned oil and gas drilling in 115 million acres of the Arctic Ocean and 3.8 million acres of the Atlantic Ocean, in a swath stretching from Maryland to Massachusetts. Earlier in the year, Obama had excluded these areas for a five-year period, but today’s action used a provision in the Outer Continental Shelf Lands Act (OCSLA) that should make the withdrawal permanent. OCSLA gives the federal government jurisdiction over all submerged lands more than three miles offshore—that is, outside of state coastal waters. It gives the Department of the Interior the ability to lease offshore tracts for oil and natural gas, but its section 12(a) specifically allows the president to “withdraw from disposition any of the unleased lands of the outer continental shelf.” Since there is no provision for a succeeding president to reverse such an order, it is presumed to be permanent. A growing number of corporations, researchers, journalists and practitioners have also started using the term “regenerative”—as well as “restorative,” “sustainable,” “ethical,” and others—almost interchangeably, without any clear sense of what we’re talking about. Even worse, we’re increasingly seeing “sustainable” claims combined with conventional (non-organic) farming, which defeats the purpose entirely. How can you rebuild soil ecosystems while simultaneously pumping the soil with pesticides and herbicides?